Get crisp, clear images even with challenging originals, thanks to the latest Perfect Page image processing technology. 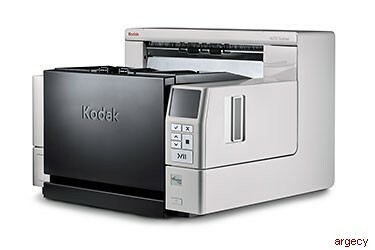 At 150 ppm, the new KODAK i4850 Scanner is the fastest of the bunch. Features Intelligent Document Protection with 3 sensors, interactive Operator Control Panel (OCP), barcode reader, interactive multifeed ignore with image display on host, Intelligent Imprinting (patch counting), streak filtering, controlled stacking, Perfect Page technology, iThresholding, automatic color detection, autocrop, image edge fill (black or white), aggressive crop, deskew, content-based blank page detection and deletion, multi-color dropout, hole fill, dual-stream scanning, automatic orientation, color-on-the-fly toggle patch, and much more. *At 200 dpi and 300 dpi for bitonal and color in single stream scanning, controlled stacking enabled at the Improved document handling level. Dual stream scanning including color toggle patch may be less than rated speed. **Throughput speeds may vary depending on your choice of driver, application software, operating system and PC.